QROPS France: how useful are they for expats retiring there? The use of QROPS for expats in France has become popular in recent years as British nationals increasingly look beyond the UK both for employment opportunities and a place to retire. Several million UK nationals now live overseas. Research by the Institute of Public Policy revealed that one in twelve Britons of UK pensionable age currently live abroad; they predict that this number will increase to nearly one in five by 2050. An additional survey conducted by the insurance provider RIAS found that almost 10% of the UK’s over-50 population are giving “serious consideration” to moving to another country; meanwhile data from the Office for National Statistics suggests that 400,000 people in the over-50 age group are already planning to emigrate. 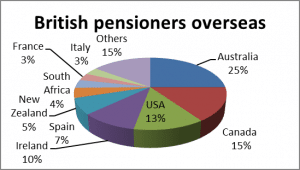 Moving abroad has a significant impact on a UK national’s pension benefits. Many people who departed the UK shores in the past, elected to leave their UK pension behind them, with a view to revisiting the situation upon reaching retirement age and claiming the benefits then. With the recent QROPS legislation there are more options to explore in terms of pension planning. In particular, we are witnessing an increase in the number of those seeking to establish a QROPS in France. For those with sizeable UK pensions, QROPS is a worthwhile consideration. The UK lifetime allowance is destined to be reduced further by the British government over the coming years. It would appear that UK pensions are treated as low hanging fruit by the Treasury department when seeking to raise extra revenue.